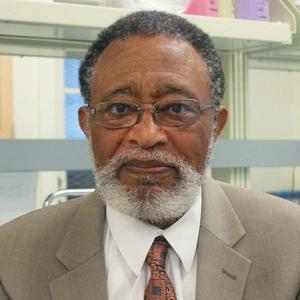 Dr. Edison R. Fowlks, professor of biology and director of the Biotechnology Laboratory at Hampton University, has been selected by the American Society for Cell Biology (ACSB) to receive the 2014 Bruce Alberts Award for Excellence in Science Education. The ACSB’s criteria for selecting a recipient of the Albert Award includes someone who has made both innovative and sustained contributions to science education. Since the 1970’s Fowlks has allowed students the opportunity to have hands on experience and use the classroom to teach the scientific method and not just memorize facts. Since arriving at Hampton University in 1988, Fowlks has mentored countless students and encouraged them to earn Ph.D.s. One of his students is the current chair of the Biology Department, Dr. Michelle Penn-Marshall. During his tenure Fowlks has served as the Principal Investigator of Hampton’s Howard Hughes Medical Institute (HHMI) grants, National Science Foundation (NSF) training grant and the W.M. Keck Foundation grant. Fowlks will accept the award on December 7, at the 2014 ASCB/IFCB meeting in Philadelphia.